Please enjoy my article about 10 Halloween Traditions you'll want to try with your own kids, followed by the link to Greening Your Halloween! Don’t you just love Halloween?! It’s exciting (dressing up and sugar!) and scary (trick-or-treating in the dark!) … and a little bit gross (pumpkin goo!). My parents started Halloween traditions with me, and my mom still calls every year to make sure we know when the Charlie Brown Halloween show is on. Like me, I’m sure you enjoy discovering new traditions with your own kids, like “booing” and going to a Trunk or Treat. Read on for 10 Halloween tradition ideas, and don’t forget to take lots of spooky pictures! 1. Pumpkin patch. Start the holiday out right with a visit to a real pumpkin patch and pick out your own pumpkins and funky decorative gourds. 2. Pumpkin seeds. Toast pumpkin seeds instead of throwing them out because they are chock full of antioxidants, fiber, vitamins and minerals, not to mention they make a great crunchy snack. 3. Pumpkin carving (one now, one later). We usually wait until Halloween Day to carve our pumpkins since we want them to look fresh. This year we’ll also carve a few earlier in October so we can enjoy them before they wilt. 4. Booing. Last year we ran to the front door to see who was there and found … nobody. But … there were plastic cups full of Halloween-themed treats like pencils, erasers, spider rings and candy. A note was left behind, and it turns out we had been “booed.” We never found out who booed us, but we promptly went to www.BeenBooed.com to print out our flyers and instructions on how to boo our own set of friends in our neighborhood. 6. Colors. Do lots of orange-and-black things, like paint your daughter’s nails orange and black, eat Devil’s food cupcakes with orange frosting or color Halloween pictures you print from www.Halloween-Coloring.com. 7. Dress up! Check out www.TheDailyGreen.com’s cool slideshow that shows 25 ideas for homemade costumes made from recycled materials. 8. Trunk or Treat. These are held in a parking lot or the inside of a church, community center or school. You don’t even have to attend the church or school … all are welcome. Check the digital or print edition of your local parenting magazine (like this one!) to find a Trunk or Treat near you, or just call a few churches in your neighborhood. 9. Trick or treat, smell my feet. Some families head to the mall if the weather stinks. Some leave one parent at home to hand out candy, but we all go together since I’m a Halloween junkie. 10. Indulge! End the holiday with a mini sugar coma for you and the kids. I love watching my kids count and trade candy, then eat their way through each stash until Thanksgiving! Here's the one on Greening Your Halloween. This link will take you to another page on my blog, which (sorry!). And for more humor, check out my bio page, where some random lady attacks me for celebrating Halloween with my kids ... then more comment hijinks ensue! 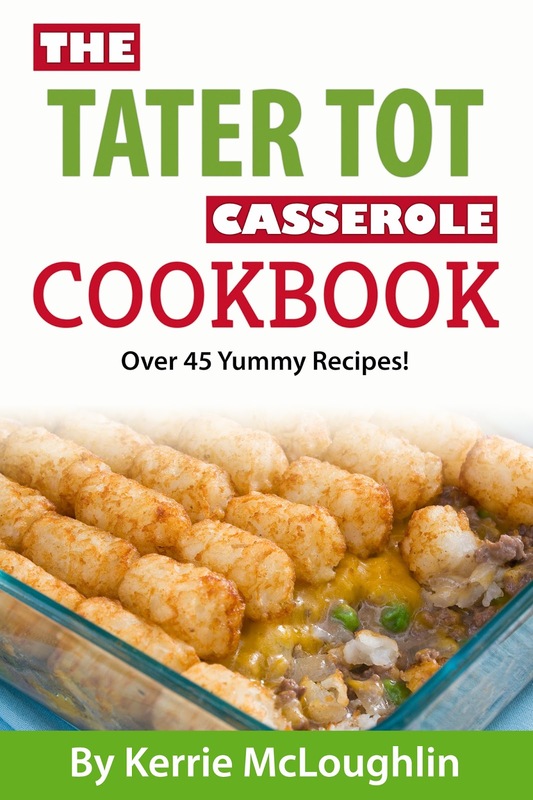 For a fantastic meal pre-trick-or-treating, check out my cookbook, The Tater Tot Casserole Cookbook on Amazon in print and ebook editions. Lots of recipes are sure to please ... even gluten-free, dairy-free and vegetarian recipe options.